Back With A Vengeance by Lady K - RESPECT MY VOTE! 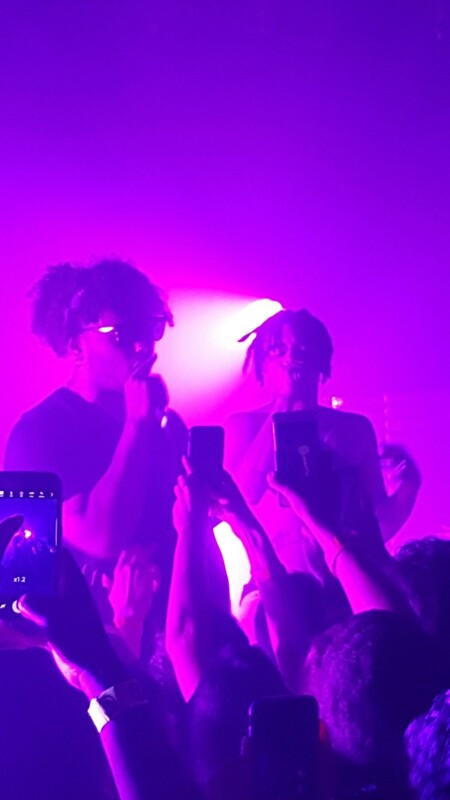 On Thursday, August 4th, Vic Mensa and Joey Purp had The Roxy turnt all the way UP! Los Angeles was the second-to-last stop on their 11 city “Back With A Vengeance” tour. Vic Mensa has been making hip hop headlines in 2016 and there’s good reason why. He’s passionate about the music he releases, but more importantly, the messages in each song. We had a great team of volunteers who walked up and down the line of fans registered to vote or, if they were already registered, pledge to vote this November. 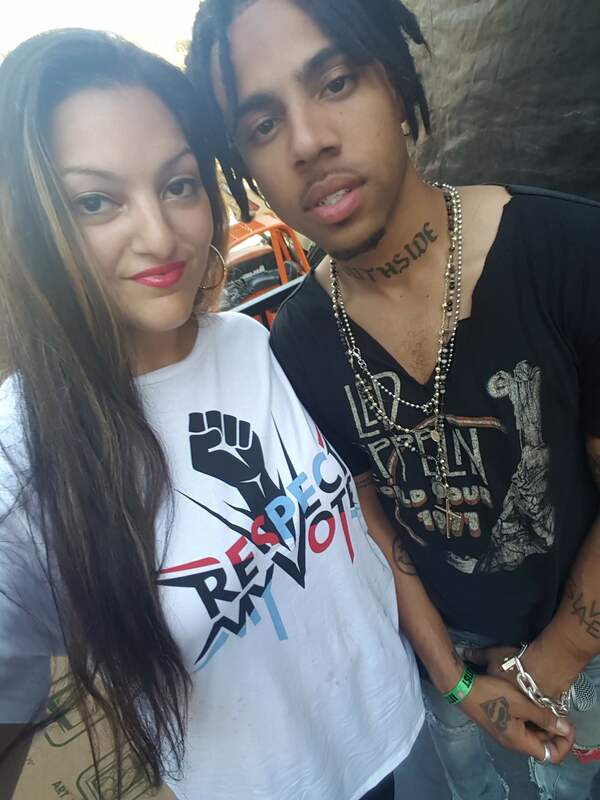 Our team stationed at the voter registration table inside The Roxy, were personally thanked by Vic Mensa. As he was prepping for sound check, he came over to the table, and the first thing he said was that he wished we were on all the tour dates with him. Encouraging people to use their voting power is important to Vic, and it resonated throughout the show. Vic made a call to action in the middle of the show, asking his fans to vote this Fall. It was a powerful, memorable moment. As we met with fans, there was a young lady in particular named Stephanie who made me realize something important: I helped her register to vote for her first eligible election…. EVER! She was so excited to register with us. 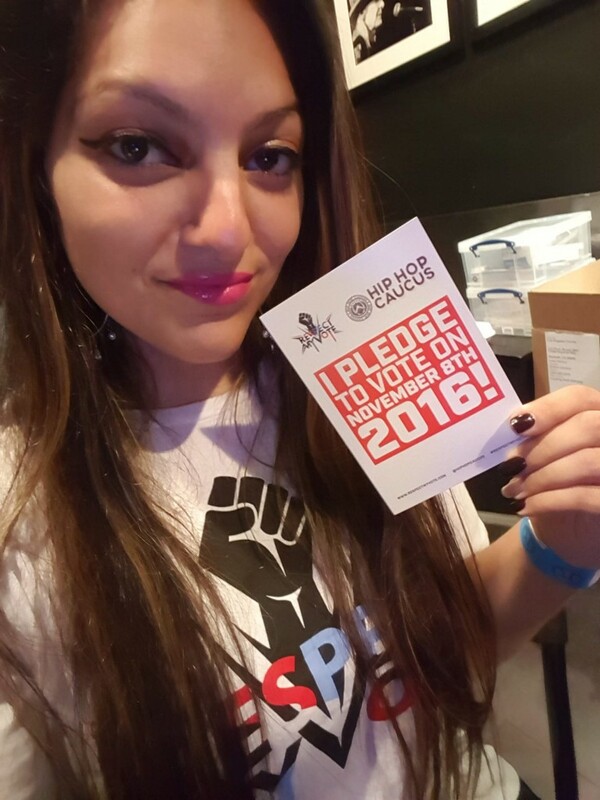 The fact that the Hip Hop Caucus is going to help her (and many others we have registered this year) participate in their first voting experience, makes it that much more worthwhile to do the work we do. Because of us, she will have a voice through her vote! There was another young man who had voted earlier this year while living in Chicago, but hadn’t had the chance to re-register in California so he could vote here in November. Because of our presence at the show, he was able to see an awesome concert AND re-register to vote in the state of California! Double win. And, then there was Devon who was so appreciative to see us at the concert getting people engaged in the importance of voting. She said she had been waiting to see something like this at a show because it’s so necessary, especially with the upcoming election, to get as many Americans as we can to commit to their civic responsibilities. Vic stands out to me as an artist in today’s social media-driven society because he truly cares about the important issues we are facing. That’s exactly why we, the Hip Hop Caucus, knew he would be the PERFECT spokesperson for this year’s Respect My Vote! campaign.